Historic Flight Grounded as well ! With everything conspiring to prevent aviation from Hullavington we were unable to fly the Historic Gliders this weekend. 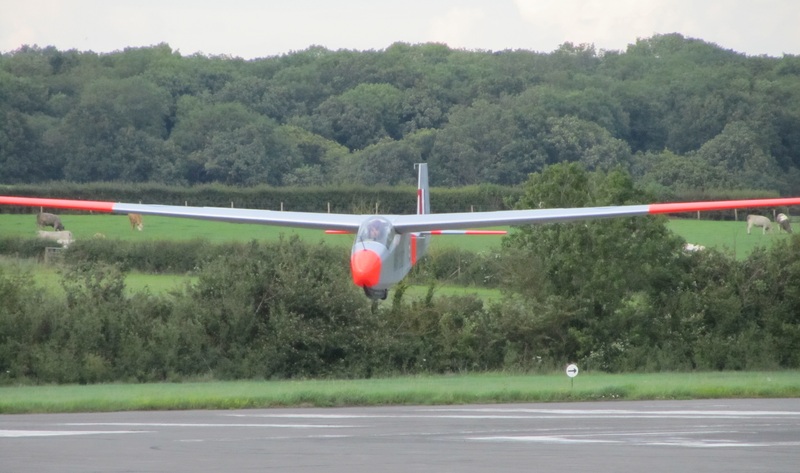 Many thanks to those that turned up for a long day of much needed maintenance – it’s days like these that are essential to enabling all to enjoy the lovely gliders we have access to ! The Swallow had its C of A and has also had the gap sealing replaced under the wings so should fly a lot quieter! 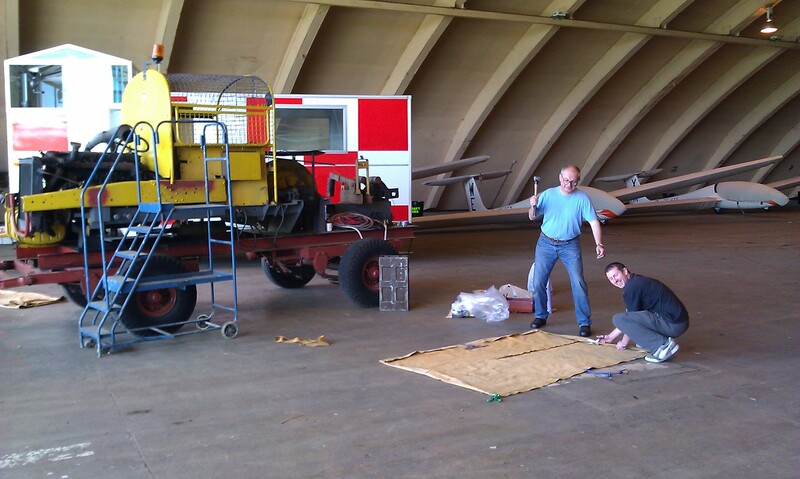 The Grasshopper has been loaded into its trailer for off site maintenance, the trailer was also thoroughly cleaned. The Prefect was also given a wash and the Sedbergh washed and polished to protect the new paintwork. 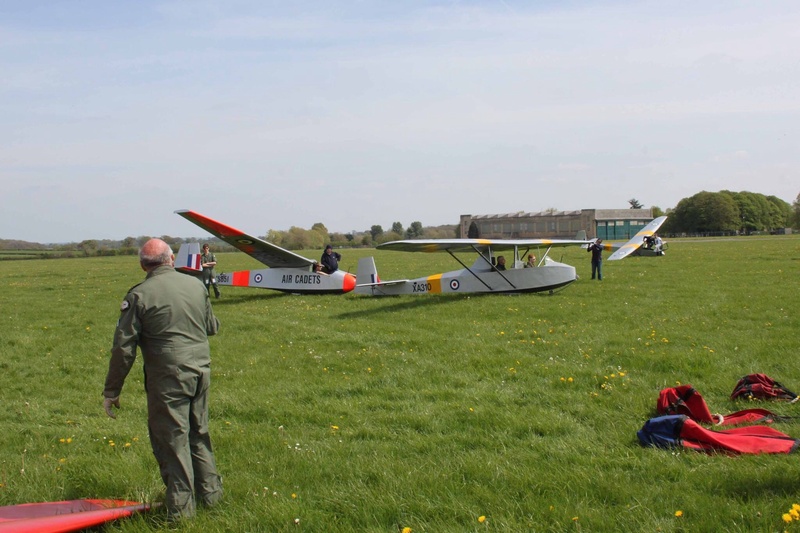 With the VGS grounded the opportunity was taken to fly the historic gliders over the Sunday and Monday and enjoy a social with friends and family having a BBQ. A hardy few even stayed over in tents. Over the two days we managed nearly 130 launches ! 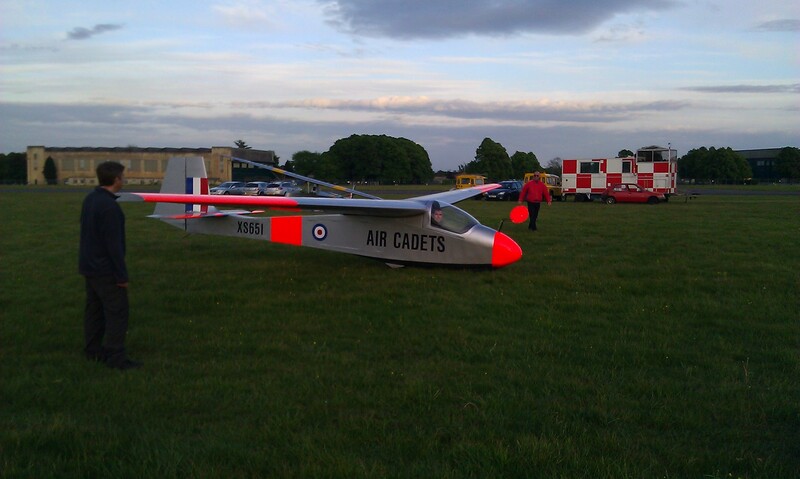 There was soaring available both days and the CFI even had a nibble at the wave in the Sedbergh. Neil Payne produced an awesome BBQ which went on into the evening. There was much chat from those who had the green ball up in the MKIII !! 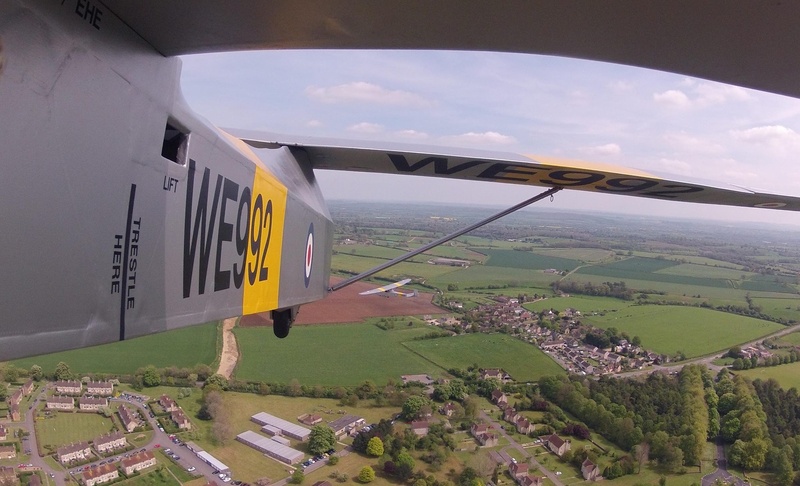 And another cracking shot from a GoPro attached to the Prefect following the MKIII onto base leg. A very successfull start to the season! After two consecutive Fridays, we had the luxury of the airfield for Good Friday and Easter Saturday and managed 60 launches over those two days. 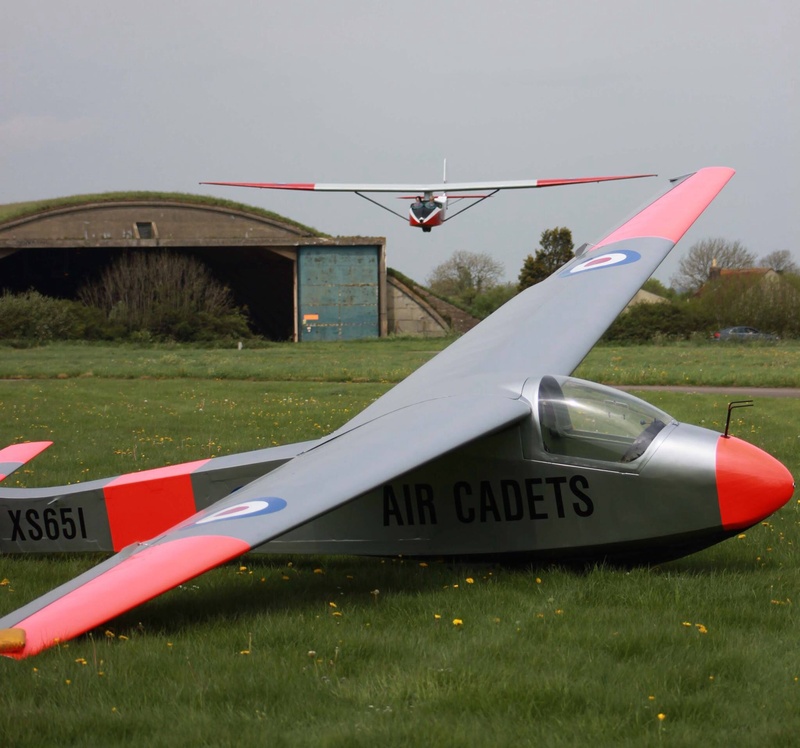 Alan Melmore OC 618VGS at Odiham visited the historic flight on Friday and relived flying the MKIII for the first time in many years. 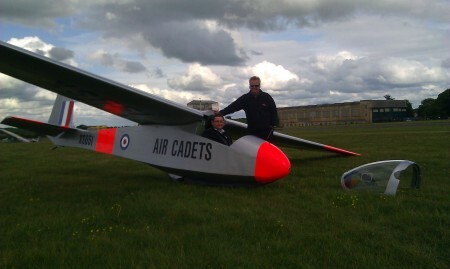 A circuit in the Sedbergh completed the pair of wood training gliders Alan has flown. Due to the schools he has operated at Alan is one of the lucky few to flown MkIII, Sedbergh, Prefect, Swallow, Vanguard, Viking, Janus, Valiant and Vigiliant whilst in service – only the Venture missing to complete the set ! It was a lovely early autumn afternoon, especially when the sun came out. 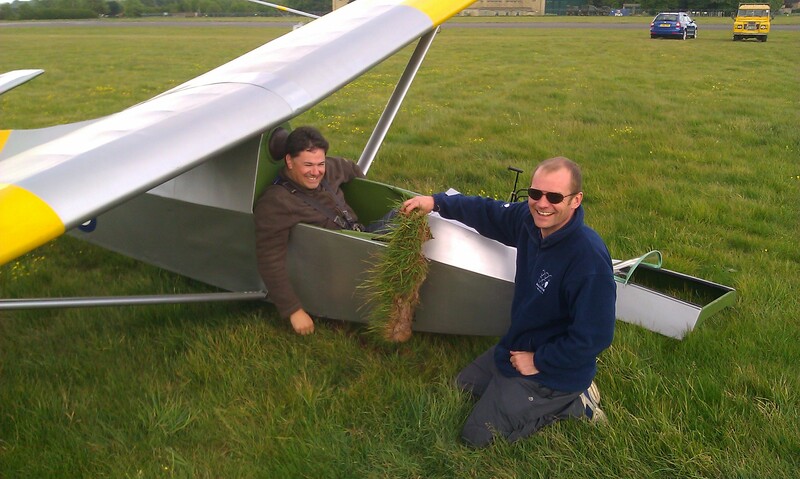 Al Stacey popped in and did some instructing in his Sedbergh, most were impressed how he flew in a T-shirt ! 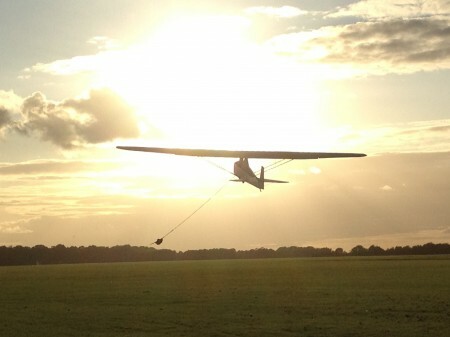 The following week saw the Prefect and Swallow flying, a very nice and gentle September evening. 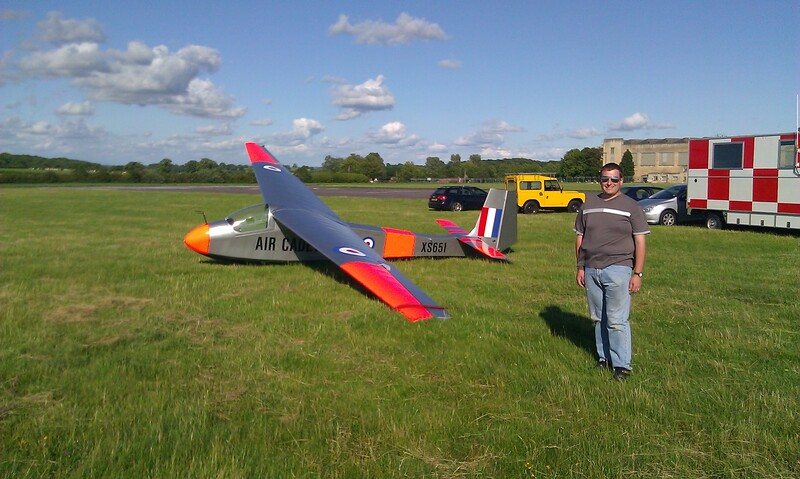 Andy Trickey flew the Swallow for the first time in many years and Rich Manara converted to the Prefect, I think he’s gone into hiding with three conversion rounds pending! PT and Rich also got to grips with the winch! 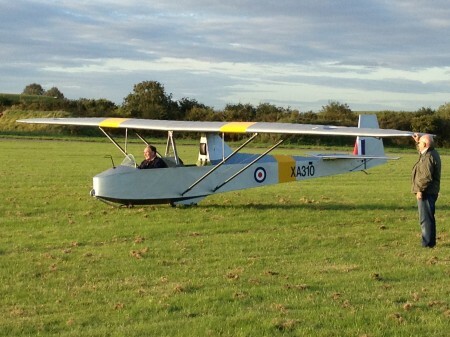 Mid summer week seemed a sensible time to pick for flying vintage gliders! 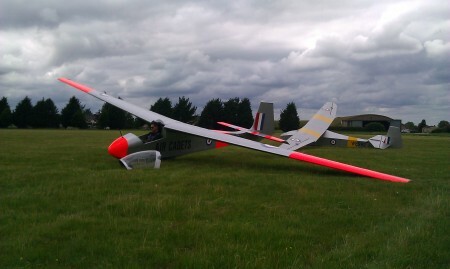 With a not too promising forecast we started the week with Al’s Sedbergh having to stay at Keevil due to strong winds. In fact the strong winds were set to stay until Friday along with heavy showers. 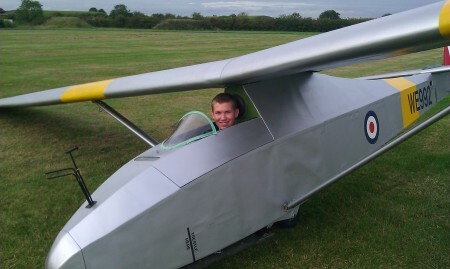 It turned out that on most days we wouldn’t have been able to fly the Sedbergh due to the wind strength so instead turned to the MKIII which coped admirably with 25kt gusts! 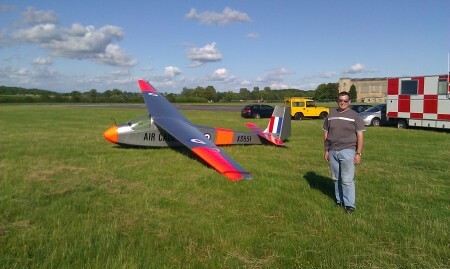 Joined by Rick and his SHK and the Astir DNE, our Swallow completed the line up for the majority of the week. Only on Friday did the winds abate and the Prefect came out on what turned out to be a soarable morning. 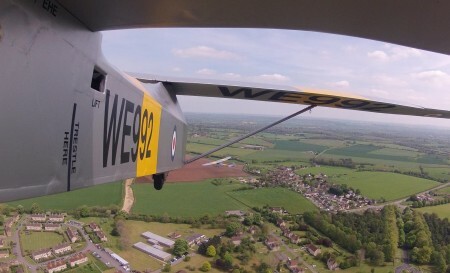 With large chunks of the midweek days washed out we spent some time cleaning the gliders, the MKIII had a brand new front seat fitted whilst KK and Dom fitted a new canvas tilt too the winch. 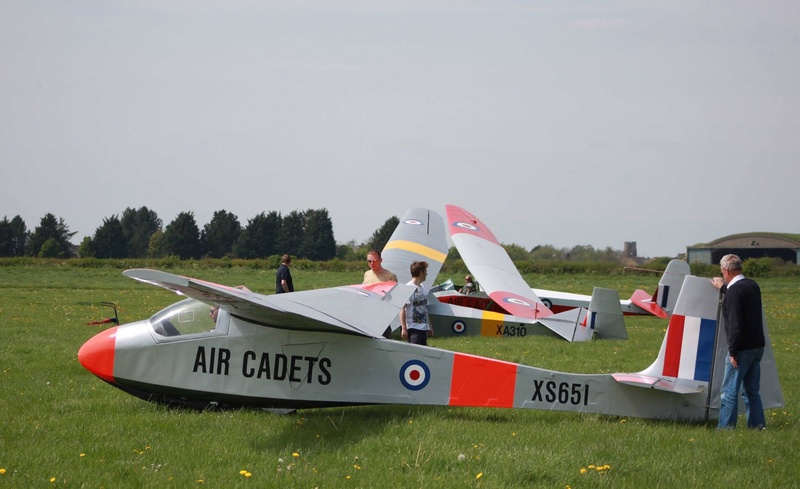 A couple of successful evenings allowed Martin Wintle and the Summerells to get airborne with a typical English summer BBQ after and just to prove we did get some decent weather I’ll insert the following photo! 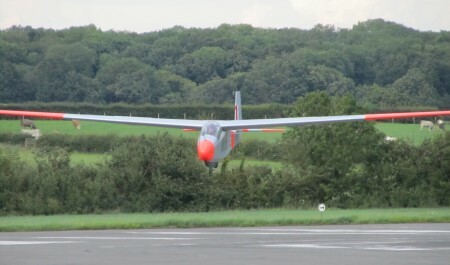 Along with a nice one Rob took of Tony on the approach. All in, a great week despite the weather. Mike Newton flew the MKIII for the first time since 1979, KK also flew the Swallow again after a similar time. Dom Polhill converted to the MKIII and then the Swallow. We managed 109 flights and a bit over 18 hours airborne. A full day and many Swallow conversions. The first full Friday of the season was blessed with fine weather and a good breeze. This helped the MKIII get reasonable heights as it was being used to get some back into current practice before stepping up to the Swallow. 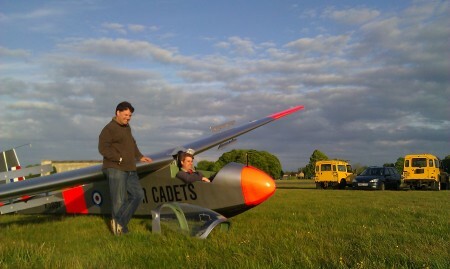 A rare 1250′ was seen on one launch but that might have been due to Oliver Summerell being in the back seat! Phil, Darren M, Daryl, Jim and Jono all converted to the Swallow with Nick B re-converting after some 30 years! Jono got the best of the breeze and nearly made the magic 2000′ on the launch. The Prefect also came out to play, can’t be many times that the Prefect and Swallow flew together in VGS use! Phil also discovered that extra cocpit weight causes the Prefect to stop quite quick!!! 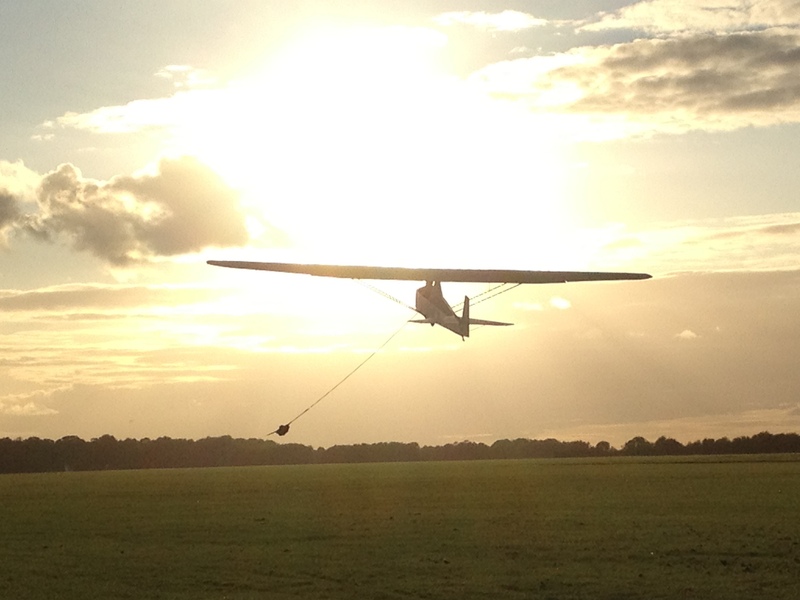 With weather finally suitable for vintage gliders, a small group met and flew the Sedbergh for the afternoon. It was extremely cold in the northerly air flow but we all managed a few flights each. 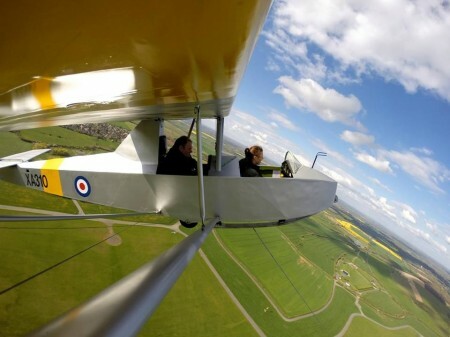 Mike last flew a Sedbergh as captain back in 1979 and it was great to see him flying solo again after a few check rides, I knew we could weane him off the windmill up front! After flying the Sedbergh was de-rigged and loaded into the newly refurbed trailer ready to be taken to Bicester for a complete refurbishment.